Claims of medical malpractice, or medical negligence, arise when an individual believes that his medical care, by a hospital or physician, has fallen below that standard of care generally accepted by the community where that care was received. However, the fact that a patient may have experienced less than an optimum outcome to a given surgical procedure, or suffered with consequences associated with that procedure, does not itself give rise to a claim of medical negligence. Rather, the result complained of by the patient must be outside or beyond those risks commonly associated with the procedure, or suggest an error by the physician which a reasonably prudent physician under similar circumstances would not have made. 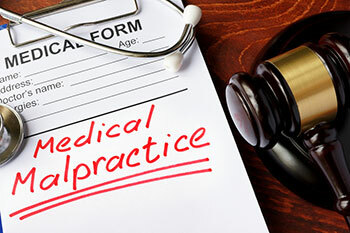 Medical malpractice actions are commonly both expensive and difficult to prove. Every medical procedure carries with it some risk of an adverse outcome. Doctors and hospitals commonly argue that they did everything in their power to properly treat the patient; that any problem encountered by the patient is not the result of an error on their part, but rather the result of a risk inherent in the procedure. The burden of proof is on the patient (not on the doctor or hospital) to prove his or her claim of medical error. If the jury is confused as to whether the injury was the result of a medical error, they generally hold in favor of the doctor or hospital. Juries often have difficulty determining what medical expert to believe and are suspicious of experts paid by either party for the purpose of attending the trial and giving testimony. As a result, subsequent treating physicians, (those who have treated the patient after the medical injury), who have not been retained or paid to testify, but rather have been asked by the patient to offer a second opinion as to the cause and course of treatment, often carry great weight with the jury. We often advise our clients that before proceeding with a medical malpractice cause of action, they first seek a second opinion of their condition from another physician outside the area where they were treated by the first physician; usually St. Louis or Chicago. These physicians are usually not as reluctant to agree that medical errors have been made, as local physicians may be. However, these physicians are often reluctant to get involved in the patients treatment for fear of becoming involved in litigation. Unlike other types of legal causes of action, before one can file a complaint against a hospital or physician for medical negligence, that individual must first obtain a Certificate of Merit from a medical expert in the same field as the doctor against whom he or she wishes to file their Complaint. 735 ILCS 5/2-622(a)(1)(West 2016) requires that every Plaintiff alleging medical, hospital, or other healing art malpractice, must attach to his or her complaint an affidavit stating that the person swearing to an affidavit has consulted with a healthcare professional, in who’s opinion there is a reasonable and meritorious cause for the filing of the complaint. Additionally, the Plaintiff must attach a written report of the healthcare professional, attesting to the basis of this determination. Although there are limited exceptions to this mandate for extensions of time, the failure to adhere to this statute gives grounds for a defendant to seek a dismissal of the complaint if the Certificate of Merit is not timely provided. Section 2-622(a)(1) is designed to screen and deter frivolous or non-meritorious medical malpractice claims. This Certificate of Merit must recite that the reviewing expert has reviewed the medical records of the Plaintiff as treated by the hospital or physician of concern, and has determined that the hospital’s or physician’s care of that patient deviated from the standard of care applicable to that community. Therefore, when first investigating the potential existence of a medical malpractice claim, the Plaintiff and his attorneys must first obtain all the medical records relevant to the procedure or issue of concern. Thereafter, an appropriate medical expert must be retained to review these records and issue an opinion as to whether a deviation from the standard of care exists. These experts commonly expend many hours reviewing the medical records and writing up the reports necessary to substantiate a claim against the hospital or physician. These experts commonly charge hundreds of dollars per hour for their services, and the initial Certificate of Merit alone can cost several thousands of dollars to obtain. There is also no guarantee that after spending the money necessary for a review of the medical records, that the expert will agree an error has been made. Medical issues are often complex and it is difficult to determine whether an error in treatment has caused an injury serious enough to give rise to a cause of action. Accordingly, attorneys are not generally in a position to determine the merits of a medical negligence claim until the medical records have been reviewed by an independent medical expert and a Certificate of Merit has been obtained. As a result, the potential Plaintiff is commonly asked to advance those sums necessary to secure the Certificate of Merit and confirm that a valid cause of action exists. The costs associated with a medical negligence claim do not end at the creation of the Certificate of Merit. 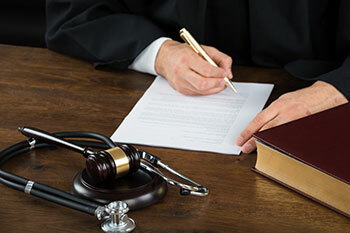 Rather, all of the physicians who rendered care to the Plaintiff must have their records subpoenaed and their testimony provided by deposition. Furthermore, medical experts are commonly retained to further testify in order to establish a deviation in the standard of care. Most of these physicians will charge in the range of many hundreds of dollars per hour resulting in costs associated with claims of this nature commonly in excess of $50,000.00. However, once a Certificate of Merit has been obtained and the attorney agrees to represent the potential plaintiff, these costs of suit are commonly advanced by the attorney. As a result, the attorney must be very confident that he will be able to establish the existence of medical malpractice, and that the injuries suffered by the Plaintiff because of this medical error justify a jury award large enough to offset the costs and risks inherent in this type of litigation. Unfortunately, this means that a large number of medical negligence claims are simply not financially feasible to pursue. 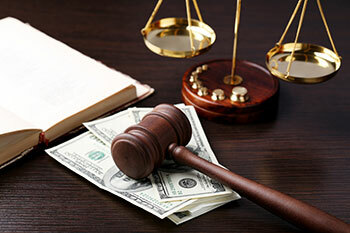 Even if the Plaintiff and his or her attorney are very confident they can establish a medical error, if the injury caused by that error is not one that would cause a jury to award a very substantial monetary award, the Plaintiff may end up spending more money bringing the suit to trial than the Plaintiff receives by way of award from the jury. These types of lawsuits are so risky and expensive that only very serious medical errors resulting in catastrophic injuries can be pursued. Accordingly, because of the legislative requirements associated with only medical malpractice claims, many medical negligence claims are deemed too financially risky to pursue and most attorneys do not handle these types of claims. However, if you believe you have suffered an injury due to the medical errors of a doctor or hospital, please give our office a phone call as soon as possible to discuss your claim. We will review your concerns with you, answer your questions, and you will not be charged for this consultation. Wolter, Beeman, Lynch & Londrigan, LLP have successfully litigated medical malpractice claims for decades, and have the knowledge and resources necessary to take on the medical industry.